30 x 16 x 32”H/76.2 x 40.6 x 81.3cm with 5.5”/14cm back splash. 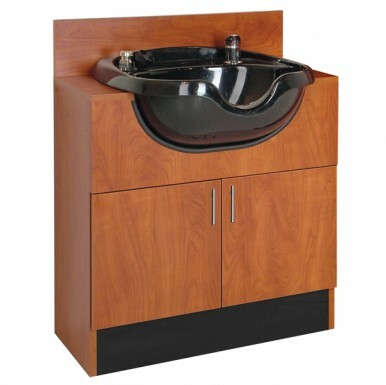 Includes faucet, spray hose, vacum breaker and accessories. 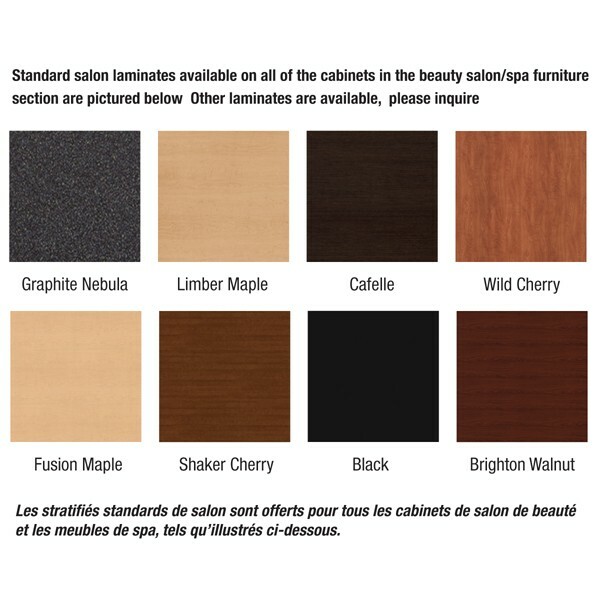 Available in standard salon laminates shown.